Staying on top of, or even ahead of, trends in shopper behavior can be what makes or breaks your marketing campaign, not to mention the success of a particular product or service. Of course, knowing what shopper behavior is trending toward is only part of the story—you also need to understand how to apply that buying behavior to your business. In this post, we’ll be talking about the six biggest trends you should not only be watching, but taking advantage of. Perhaps you’re aware that ecommerce boomed between 2013 and 2015, climbing 20% to $1.5 trillion globally in 2014 alone. However, it certainly bears mentioning that ecommerce had only grown a stagnant 9% between 1998 and 2013. The change in momentum is dramatic, indicative of the global shift to digital. It presents a host of new options, both in variety of products and variety of prices. It’s also evolving to be even easier than ever with new functions like in-store pickup for online purchases, a factor that boosts sales online and in-store by 20%. That growth isn’t going to be stopping any time soon, either. According to eMarketer, ecommerce sales will more than double to $3.5 trillion by 2019. In the U.S. alone, e-commerce saw a revenue of more than $300 billion, and that’s also expected to nearly double to half a trillion in the same time. This is hardly a new trend in shopper behavior, but it warrants mentioning, if only because mobile isn’t only not going anywhere, it’s taking over. By the end of 2016, it’s projected that $2 billion in online shopping will occur exclusively through mobile devices. Furthermore, by 2017, it’s expected that m-commerce will rise to 50% of the total digital commerce revenue in the U.S. due to consumer mobile engagement; that’s up from just 22% in early 2015. This might be due to the fact that 73% of people always have their mobile device with them, or that U.S. mobile users are constantly checking their phones for something which results in about 30 billion mobile moments per day. (The fact that 4.8 billion people worldwide will use mobile devices this year only makes this an exponential concern for any business that works internationally.) 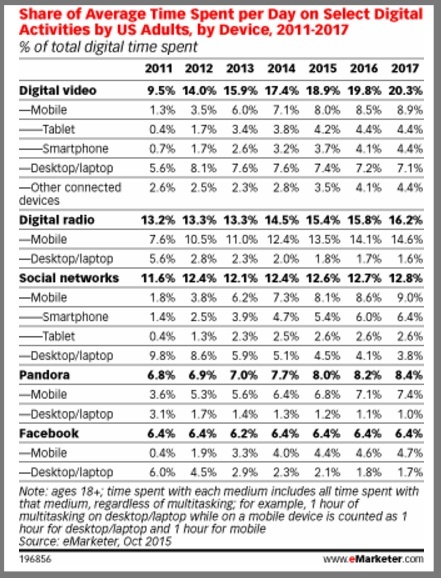 Most content (which will address in a moment) is consumed mostly through mobile devices. And yet, only 25% of companies will fully integrate mobile into their business strategy. That can only serve to miss out on easy revenue, so don’t make the same mistake. The internet provides limitless options for lower prices, many of which it would be unwise to attempt to match or beat. The shopper journey has both fragmented and become much more complex, so the question becomes, how do you win the moments from shoppers that you can’t obviously and easily guide from advertising to purchase? Aside from solidifying your USP and taking advantage of micro-moments, shopper experience is what’s going to set you apart from your competitors. According to Forbes, the customer experience is the new model for everything from how to run your business in-store or online to how you run your marketing. It’s believed that sometime this year, 89% of companies will view shopper experience as a primary factor in competitiveness. However, the difference is that we’re not discussing something as simple as in-store experience or their satisfaction with customer support. In fact, it’s the core of the next three trends in shopper behavior. There’s always been an element of instant gratification in shopper purchase behavior, but it’s reached a whole new level. By now you’re already familiar with Google’s micro-moments concept. What the mega company observed hasn’t changed—people are still loyal to needs over all else and expect relevant responses on-demand. Roughly half of U.S. consumers expect to find the information they want or need at their fingertips—literally—by context through their mobile device. Consider the fact that 55% of web pages are viewed for 15 seconds or less, and 40% of people will abandon a page that takes longer than three seconds to load. 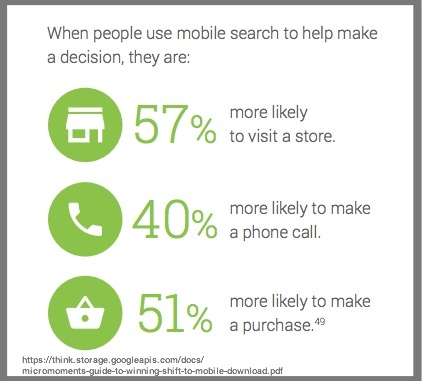 Yet finding the results they want or need immediately also makes them 57% more likely to visit a store and 51% more likely to make a purchase. Consider tools like Google’s Universal Search, and how that can put your brand’s information, rewards program, content, and products in front of mobile searchers quickly. But it isn’t just information that consumers want instantly. Just over 25% of people say that there’s so much online that they have a hard time finding what they want to purchase, so making it easy for customers to quickly find your products or services is going to be vital. What’s more, quick rewards are a fast track to improving loyalty. In fact, simply adding buy buttons to emails and social media posts (especially those that offer storefront functionality) source improvements pretty quickly. Not only should shoppers be able to navigate online stores easily, but the checkout process shouldn’t require much more than a click. Attention bias is very real, and if your marketing efforts don’t play into consumer expectations, you’ll find even your best campaign banished by ad blockers. Engaging content not only enhances the customer experience, it influences brand trust and positions your brand to be capable of winning micro-moments on the shopper journey. It shouldn’t surprise you to learn that when shoppers are served advertising, they want contextual messaging. About 23% want it contextualized by the content they’re viewing, while another 21% want it contextualized to their location. Furthermore, shoppers want to be able to consume their content regardless of device (although they’re using more devices than ever) or format. Consider the fact that 53% of smartphone users look favorably on brands that provide how-to videos.That’s probably why 22% of brands see content marketing as one of the most influential marketing tactics. Consider the fact that 53% of smartphone users look favorably on businesses that provide how-to videos. Of course, it isn’t just the content that your brand produces that matters. In fact, the content produced about your brand may matter even more, especially with regards to the thing you can control the least—reviews. Harvard Business Review states that about 30% of consumers start their shopping process at Amazon, but not to make a purchase—this stage is for research, and they’re looking at product and vendor reviews, regardless of whether they plan to purchase online or in-store. The fact is, a staggering majority of consumers (90%) will read online reviews, and 88% consider them to be equivalent to a personal recommendation. They’ll go on to look at more than 10 other sources online on average, as well, and experts don’t expect to see the majority of reliance to trend away from peer reviews and back to marketer/brand sources, especially advertising. Trusted reviews will, invariably, trump the influence of an ad. To be sure, these insights into shopper purchase behavior are just a glimpse of the changing consumer journey. However, it’s a good starting place to review your performance metrics with an eye for shopping patterns and buying behaviors. Combining what you know about your shoppers now with these trends in shopper behavior means you can more accurately strategize for success. What Exactly Do Consumers Like About Fitness Focused Wearables Anyway?